Our culture is becoming increasingly fascinated with white teeth. With ‘news’ stories in front of us everyday showing us celebrities with their shiny, very white teeth, it seems that so many of us these days want to have an ultra white smile too. We are told that conventional teeth whitening (bleaching) is safe from experts. Yet others warn of the risks of conventional teeth whitening. Much of the confusion stems from the fact that the ‘facts’ around teeth whitening have been blurred intentionally. Then we hear how Julia Roberts only uses baking soda to keep her smile bright. But is baking soda even a safe option? In today’s article on how to naturally whiten your teeth without destroying your enamel, we will detail several strategies that we have researched and deem to be safe for long-term use. We will also provide some ‘supercharged’ strategies to provide extra whitening support without the potential risks associated with conventional whitening (bleaching) treatments. 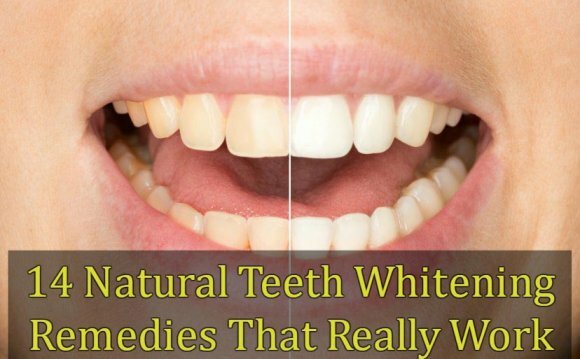 How can I naturally whiten my teeth safely? If we allow our impatient inner child to steer us when it comes to whitening our teeth, we’re heading toward trouble. 1. Take dated photos of your smile so you can track your progress. You know we love feedback mechanisms as they give us an objective way to see our progress. Without feedback mechanisms like a photo, it’s really tough to see the positive changes you’re making. 2. Set a course. Read through this list below and decide what strategy you plan to use. Then give yourself 2-3 months and mark on your calendar the day to take your second ‘before/after’ photo. Be sure to take the photos in the same location at the same time of day, for lighting purposes. 3. Whatever strategy you choose, be sure to know how to stop causing your teeth to dull so you can get a jump start on your natural whitening plan. After all, letting red wine or a green smoothie sit on your teeth while wanting to naturally whiten your teeth is taking two steps forward and one step back. The downside to oil pulling is it does take some time as the protocol does traditionally suggest 20 minutes of actively swishing oil around your mouth.